Cartoon Classroom is a free resource website set up by David Lloyd, Steve Marchant and Paul Gravett which aims to centralise all the information available on the study of cartooning and sequential art in the UK and the Republic Of Ireland. As we've previously reported, it aims to serve libraries, schools, colleges and museums by directing them to creators who teach in these specialised areas via workshops and talks and to direct those who wish to find training in these areas for the wildest range of educational opportunities that can be found for them on a local and national basis. 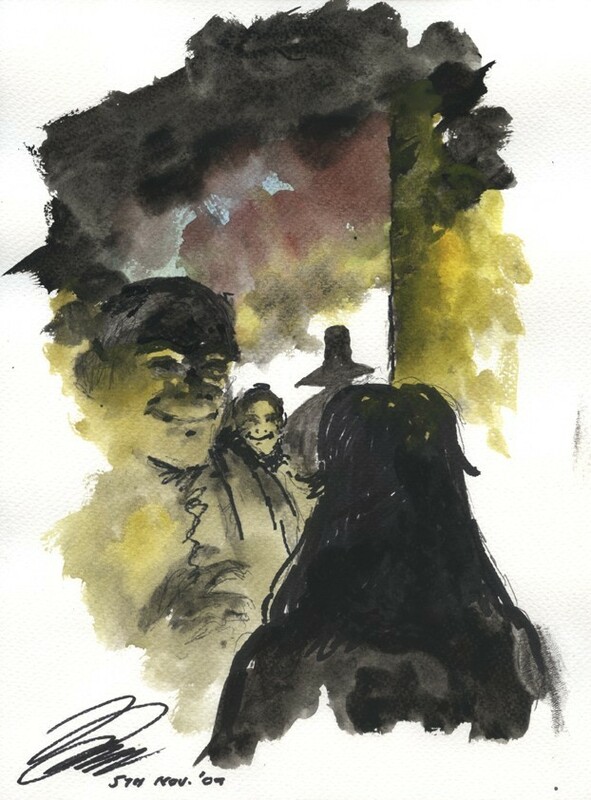 Now, to help raise funds for the site, artist David Lloyd has put four V For Vendetta illustrations that he did at the opening night of the Comica Festival at the Institute of Contemporary Arts in London on Guy Fawkes night, 5th November 2009, onto eBay. The auctions for the four illustrations end after 11pm GMT on Sunday 29 November 2009. Of Cartoon Classroom, Lloyd says, "the general public can often flounder trying to find what they need in this area of the arts. As I suffered from this lack of specialised knowledge in my tortured past, I wanted to lend my support to helping fix this situation for others." • Details of the four sketches can be found on eBay. 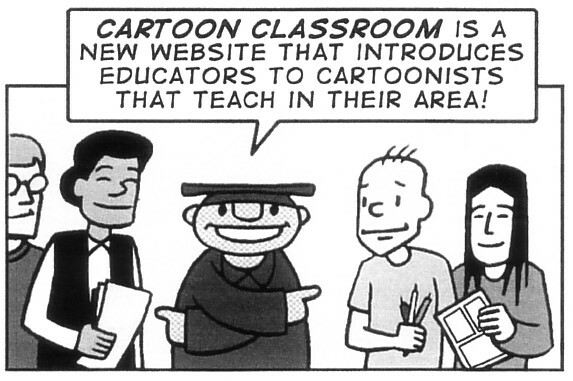 • More details about Cartoon Classroom can be found on its website. 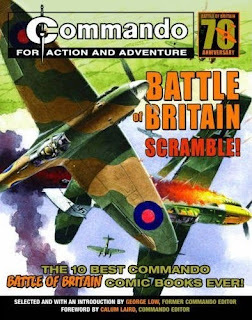 Carlton's seventh and latest Commando reprint book Battle Of Britain: Scramble!, with its air combat theme, is being promoted in the RAF's newspaper the RAF News. Commando editor Calum Laird is interviewed in the newspaper where he talks about the history of the title and the eras of combat that it covers. When asked about conflicts more recent than the first Gulf War he says, "That’s our notional cut-off because after then the stories are slightly too political for us – the canvas for a story becomes that much smaller." In the same month that the first woman pilot joined the RAF's Red Arrows aerobatic display team, Calum is asked about Commando's lack of coverage of women in the armed forces and replies, "It’s just one of those things – in the time we cover, there were no women on the front line officially, apart from secret agents. We tend not to have female characters in the books because it introduces another dimension to the story which is not our stock in trade – romance." Calum also offers a unique competition to RAF News readers with the chance for serving or former members of the RAF to win a specially drawn Commando page that will include the face of the winner. More details of this competition, which runs to 2 December 2009, are on the RAF News website. Commando Battle Of Britain: Scramble! is also now available as a Sevenoaks edition from shops such as Bargain Books and The Works at a substantially reduced price. 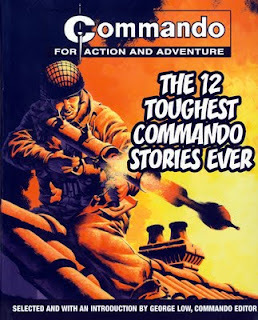 This was common for the earliest Carlton Commando titles when the Sevenoaks versions used different cover art and just the Carlton version's subtitle rather than title to differentiate them from the normal version - the Sevenoaks version of Carlton's Commando book True Brit was entitled The Toughest 12 Commando Books Ever. However the Sevenoaks version of Battle Of Britain: Scramble! uses the original cover art and title from the Carlton version and can therefore be easily mistaken for it. That said, other than the publisher's name and information, there appears to be no difference between the versions and Sevenoaks is after all a part of Carlton Books. More details of Commando can be found at the CommandoMag website which is now up to Day 88 in its Dairy Of WW2. The weekly comic magazine that is now known as Spirou began as Le Journal Du Spirou in April 1938 in the French speaking Belgian region of Wallonia and the character of Spirou has been in it since that first issue. As such he has a publishing history similar to Desperate Dan in The Dandy which began just four months earlier in December 1937. Yet despite being in his eighth decade of stories in the comic and with some 50 albums released in French, for most comics readers in the UK the character of Spirou is unknown. While Euro Books in India have recently released a selection of Spirou titles in English, in the West only a single album, Z Is For Zorglub, was translated into English by America's Fantasy Flight in 1995 based on the 1961 album Z Comme Zorglub, but sales did not warrant any further books. 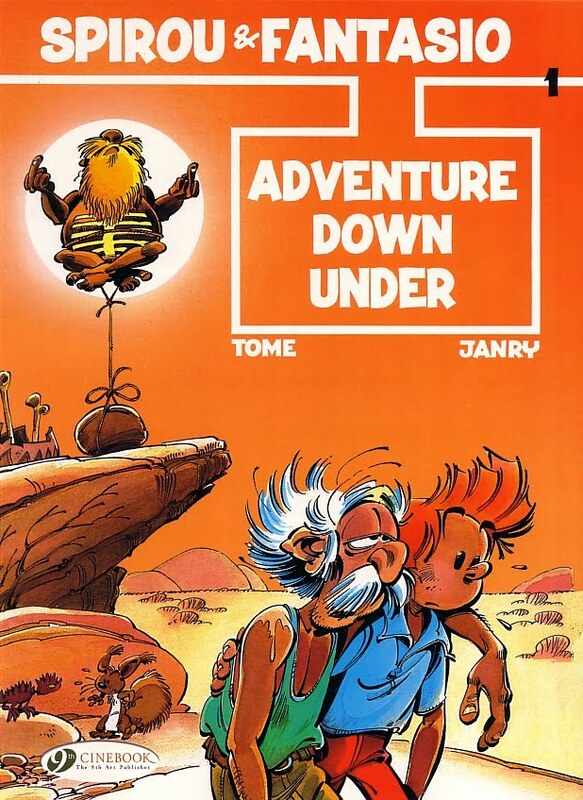 No doubt Cinebook are hoping for better things with their Spirou And Fantasio - Adventure Down Under. Young Spirou and his older friend Fantasio are journalists who work for Spirou magazine (this may sound strange but let's remember that Beano characters read the Beano). 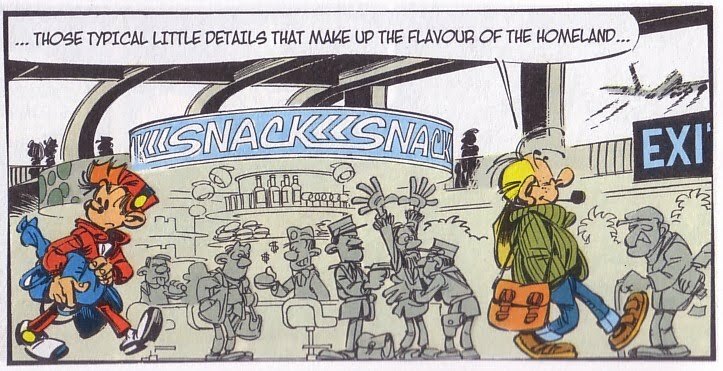 Having just arrived back from Bangkok, their fellow journalist Cellophine catches them in the airport with a telegram from Spirou's scientist friend, the Count of Champignac, which says that they must come to Australia. There they make their way to a mining settlement in the Outback where miners are desperately digging for opals near an Aboriginal holy ground only to discover from the miners that the Count died in a mining accident. Spirou refuses to accept the story and they dig up the Count's coffin which leads them to discover that not all the miners can be trusted and, due to what is going on near their sacred land, that the Aborigines trust no one. 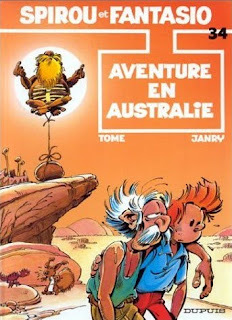 While it is the first Cinebook publication of Spirou and Fantasio, Aventure en Australie was the 34th Spirou album, originally published in 1985, and was written by Philippe Vandevelde (Tome) and illustrated by Jean-Richard Geurts (Janry) - their pseudonyms chosen as a play on Hanna Barbera's Tom and Jerry cartoon characters. Despite the above description of the story, which has all the trappings of a Tintin book, the story and art style are more like Asterix. Janry's art is both fun and at times remarkably detailed with the sequence in the airport at the beginning particularly warranting closer inspection with much going on in the background. 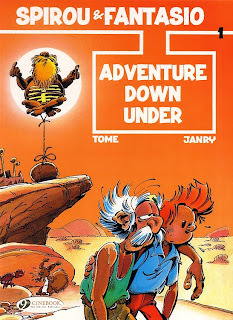 Tome's story is humourous with fantastical elements in it mainly to do with the Aboriginal wise man Kaloo-Long who can levitate whilst asleep, hence the unusual cover illustration of him hovering whilst attached to a rock. Yet there is certainly more going on with the book than just the story. The girl reporter who accompanies our two heroes to Australia is called Cellophine in the Cinebook version while her original French name is Seccotine. Seccotine is a French brand of glue that has become a byword for a person who is too clingy, so her translated name of Cellophine is a play on cellophane wrap which is also known as cling film. This and a selection of the Aboriginal names for people and places introduces word play similar to that used in the character names in the English language Asterix books. In addition to this the flight that the three main characters take to Australia is 714. That is the flight number of the plane that Tintin misses in the book that we know as Flight 714 but the full translated title of which should be 'Flight 714 to Sydney'. 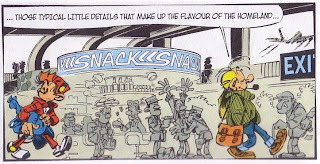 These little touches enhance the Spirou book. It all adds up to something that can be a quick fun read for children or something a little more amusing for adults. It is just a pity that we will have to wait a year for the next one. • There are more details of the book on the Cinebook website and the next Spirou and Fantasio book from Cinebook will be Spirou and Fantasio in New York which is scheduled for October 2010. • There are more details of the original book on the official Spirou website (in French). The weather gods seem to have it in for comics conventions. Hi-Ex is already infamous for its snow while this year, despite the rains that brought misery to Cumbria, Leeds was dry on the morning of Saturday 21 November but foggy – very foggy. The road layout in the centre of Leeds is, shall we say, challenging for non-locals but fortunately Saviles Hall is opposite the Royal Armouries museum in Clarence Dock so it was just a case of following the brown Armouries signs as they loomed out of the murk. It also seems like the flu gods had it in for convention reviewers. downthetubes Matt Badham, after all the good work he had put into promoting not just Thought Bubble but all the other comics conventions this year, was rewarded with a severe dose of the lurgy and couldn't make it. For that matter neither could Forbidden Planet International’s Richard Bruton as he had been similarly afflicted. With the A team incapacitated, welcome to Plan B. The Dangerous Book For Boys and Scotch Corner artist Graeme Neil Reid had enticed me away from DC Thomson-land and the old comics of Bear Alley into the world of Manga cosplay and American superhero comics to help him out on his table selling artwork, books and sketches, so rather than a full review of Thought Bubble think of this as edited highlights of my few escapes from a sales table. Clarence Dock has been completely redeveloped over the last number of years becoming a marina surrounded by a multitude of modern flats. Indeed Saviles Hall, for all its size inside, is one of the smallest buildings in the whole complex. Set-up was simple and swift as we were early, as was Hunt Emerson and a few others at the far end of the artists’ row. That said putting numbers on the sales tables themselves would probably have helped the army of red shirted volunteers find their targets quicker as we soon lost count of the number of them going past muttering “…40, 41, 42, 43…” under their breath as they took yet another artist to their unidentified table. It was the calm before the storm. The doors opened at 10am and half an hour later the hall was busy and it stayed that way for the majority of the day. Indeed even during the talks in the curtained area at the opposite corner from us, the hall remained busy and the queues for the big name guests turned the far end of the hall into a sea of bodies. Reports from those returning from the distant land of Far End suggested the queues were often an hour long and yet, despite the wait, everyone seemed extremely happy with what they came away with. Of course part of the fun for those behind the tables is discovering who your neighbours are and we were lucky to be joined by 2000AD artist Leigh Gallagher on one side and Rainbow Orchid’s Garen Ewing on the other. With copies of his Defoe 1666 graphic novel to sell, Leigh spent the day sketching for fans while being fuelled by Krispie Kreme doughnuts and coffee. On the other side, Garen politely had a cup of tea before beginning to sketch in, and autograph, copies of his bande dessinee style Rainbow Orchid graphic novel. But there was more going on than just Thought Bubble with the academic comics conference Possibilities And Perspectives being held in the nearby Alea Casino which proudly boasted on its exterior of its 2 gambling floors, 2 restaurants and 5 bars. This began at lunchtime by which time Leeds was being drenched by rain. The conference had been organised by Ian Hague of the University of Chichester and ran all afternoon beginning with two keynote speeches, “The Use Of Style And Storytelling Techniques In The Tale Of One Bad Rat” by writer and artist Bryan Talbot and the London University Of The Arts Roger Sabin with “Mavericks and Zinesters: Comics Scholarship in the UK before Comics Scholarship”. In this context ‘Mavericks and Zinesters’ were defined as journalists, collectors, fans and academics writing in a non-academic context, in other words virtually everything that has ever been written about comics throughout the years. This then opened up to a debate as to whether academics should disassociate themselves with comics fandom in general and even, remarkably, from comics professionals as well. While no conclusion to this discussion was reached, considering at that point that there were probably a couple of thousand people at the convention with only a couple of dozen at the conference, the academics probably need us rather more than we need them. Back in Saviles Hall I took the chance to dive into the sea of people at the far end to catch Dan Dare artist and Scotch Cornerer Gary Erskine doing his best impression of Michael Jackson while trying to keep up with the requests for sketches. One of these days a downthetubes convention review will include a photo of Gary’s face and not just the top of his head – but not today. Moving over into small press territory, Dave Evans (or BOLT-01 if you prefer) was on the Futurequake Press showing off the latest editions of 2000AD zine Zarjaz and Strontium Dog zine Dogbreath which has reached an impressive 21 issues throughout its various incarnations. More details of Futurequake’s titles can be found on their website. Next came Graham Pearce and his tongue-in-check take on the Action Force/GI Joe style of comics with Sgt Mike Battle: The Greatest American Hero. The Mike Battle title has now reached issue 14 and more details can be found on Graham’s website. Further up the same row were Steve Tanner and his wife Suzanne of Time Bomb Comics. Steve’s remarkable jackets are almost as bright as Suzanne’s smile and they were showing off their latest titles including the graphic novel The Furies. They also had previews on display of various 2010 titles including artist Keith Page’s London Calling. The artist for Timebomb’s The Sisterhood title, Dan Barritt, was also there selling posters of his work on the title which Steve describes as “space nuns with guns” but could more intriguingly be described as “The Beano does Durham Red”. More details of all Timebomb titles are on their website. 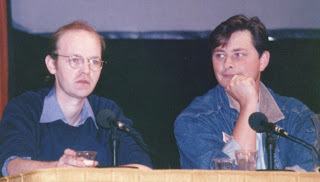 Also over the far side of the hall was Dave Hitchcock selling his unusual horror title Gothic. Gothic has been out for a while now but remains unique amongst British small press in being a 48 page, mainly black and white, tabloid published on newsprint paper which makes it a completely different tactile experience. There are more details of Gothic on Dave’s blog. Hidden away in one corner was Francesca Cassavetti of Fabtoons. Francesca is best known for her book on new parents, The Most Natural Thing in the World, which got great reviews here on downthetubes and on the FPI blog, but she also had more titles for sale including Striptacular, Party Pieces and Sole Searching which, unsurprisingly, is about buying shoes. More details of Francesca’s titles are on her website. Just over from Francesca was John Maybury and Space Babe 113. These adult themed, tongue-in-cheek, science fiction comics feature John’s very minimalist art which show just how few lines of art it can take to tell a comic length story. As Space Babe converses with her artificially intelligent knickers, the art often appears to show little more of her than a bikini and her hair do, and yet it has a charm all of it own. More details of the Space Babe 113 titles are on John’s website. And last, but certainly not least, there was the enormous stall given over to Olivier Cadic’s Cinebook titles. Olivier (in the centre of the photo) publishes English translations of Franco-Belgian bande dessinees albums and in a few short years has grown into a force to be reckoned with. Their titles range from the humourous Lucky Luke to the thoughtful Chimpanzee Complex, via the fantasy of Thorgal and the science-fiction of Aldebaran. With special deals for multiple purchases, Olivier and his team seemed to always be busy with sales as well as fielding the complements of the many purchasers and readers of their titles. With the first of their Spirou and Fantasio titles out now, featuring one of Belgium’s longest running and best known comics characters, as well as the popular espionage thriller XIII due to begin publication next year, Cinebook look as if they have a very secure future ahead of them. More details of their titles can be found at the Cinebook website. Not having been to a Thought Bubble before I can’t say if it was as busy as in previous years but it didn’t seem to have been too badly affected by the recession as it was bustling with many happy punters. Congratulations to Lisa Wood and her team of organisers and volunteers for an enjoyable day as well my thanks to Leigh Gallagher and Garen Ewing and their respective partners, Niki and Ellie, for being such good neighbours. There are many more photos from Thought Bubble on Matthew Kitchen’s Flickr account. Oh,Oh,Oh,Oh,Oh! Happy Birthday Mr Freeman! Since it is a 'significant' one, we would like to wish Happy Birthday to downthetubes supremo John Freeman, without whom there wouldn't be a site or a blog here for you to be reading. 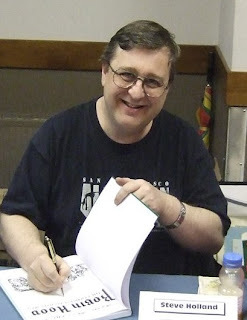 A professional editor, John started downthetubes as a hobby and ten years later it remains a hobby site about British comics, written by fans for fans. It wasn’t until Ian Wheeler ended his long running comics fanzine Eagle Flies Again, which John had helped out on in its later years, that John hauled Ian and several of the EFA regulars over to write for downthetubes and the blog (and site) as we know it today was born. 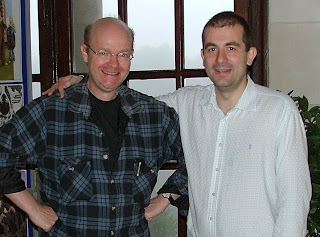 Small pressers to the end - John on the left with Ian Wheeler at the Lancaster Comics Day in 2006, proud parents of a bouncing baby EFA 14. Scan was John's comics fanzine from the 1980s and ironically we don’t have a scan of it. 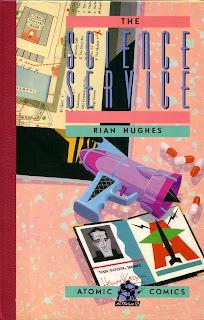 However we are required by International Comics Law to end any description of it with the following statement, "and Alan Moore was one of its subscribers" while his first professional writing credit was on Dan Dare-esque Science Service graphic novel in 1987 with artist Rian Hughes. John then applied to Marvel UK and got the job of designer and then, from issue 137, editor of Doctor Who Magazine which of course means that, like it or not, his name is now carved in stone in the annals of the greater Whoniverse. 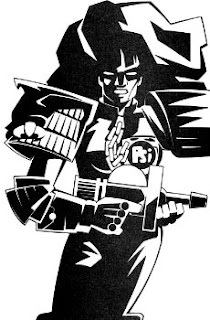 In 1994 he had the surgery in which The Mighty One fashioned him into a Scriptdroid writing the continued Judge Dredd Megazine adventures of Psi-Judge Karyn and creating Cabal with artist Adrian Salmon. 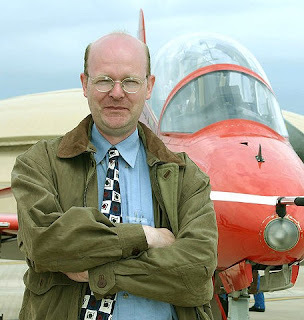 Back to reality and a move to setting up Titan Magazines as its Managing Editor where, amongst other titles, he created RAF Magazine hence the now familiar photo of John standing beside a Red Arrows Hawk T1A jet. 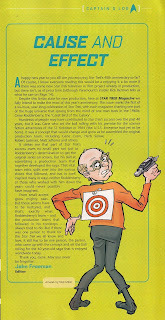 Staying with Titan and, as if one major TV SF fandom wasn't enough wasn't enough for him, John became editor of the monthly Star Trek Magazine. 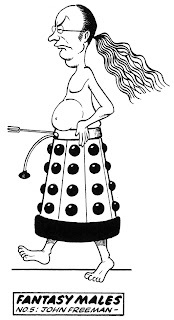 Yet perhaps it is his time on DWM that he is best known for so let us leave with this cartoon from Doctor Who Magazine and say “Happy Birthday John” from the rest of us here at downthetubes. Thank you for having the faith in me to give me the biggest opportunity of my life, and years of happiness in the most wonderful, enjoyable, fascinating job. Thank you for encouraging me when I needed it, and looking after me when things went wrong. And thank you for the boundless enthusiasm you've put into promoting all these very wonderful things in life. Have a terrific time! With deepest gratitude. 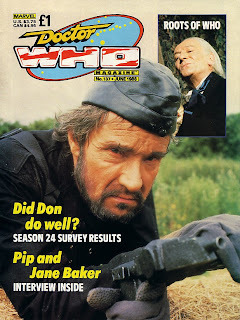 DWM issue 137, John's first issue as editor. Happy Birthday, John. Thanks for all those commissions you gave me, back in the day. You were a great editor to write for. Anniversaries are always worth celebrating, especially when it's a biggie like the big five-oh. 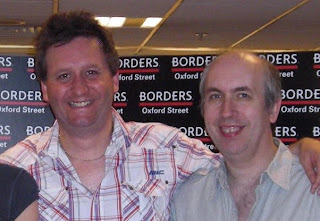 2009 marks the 50th anniversary of The Three Bears, Scoop Donovan, John Steel and Rory MacDuff, amongst many others, including the ever-youthful John Freeman, who doesn't seem to have changed much since we first met nearly twenty years ago when he was editor of Overkill at Marvel UK. Wiser, perhaps. As busy as ever, of course. But older? Maybe between scriptwriting, editorial chores and putting together downthetubes (10 years old itself) he just doesn't have time to age. Happy birthday, John, and congratulations on your thirtieth 21st birthday in a row. Chief Bear in the Alley, Steve Holland.